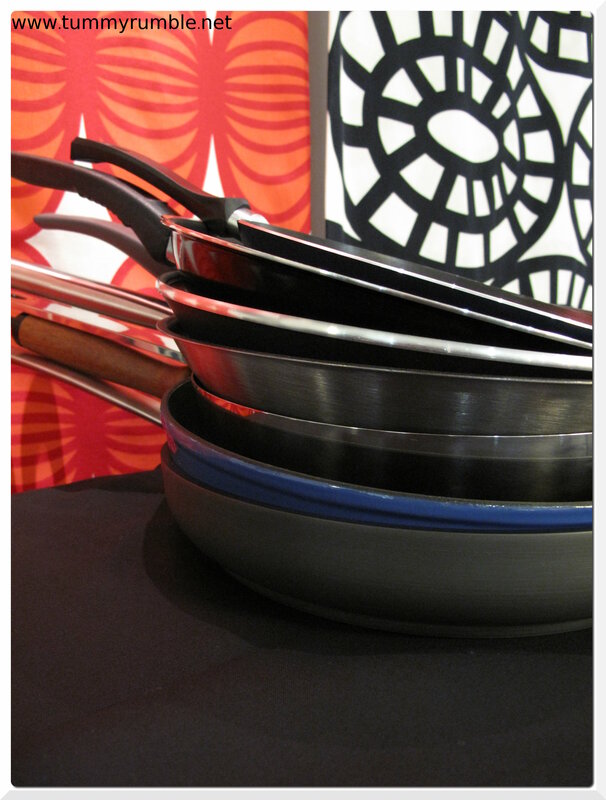 Ikea: It’s not the place I think of when thinking food. I do however, think of drawer organisers, the klippan sofa that everyone I know had at university, and kitchenware bought when I first moved out of home. Living in the inner city and not having a car, I don’t get out to Ikea often, and when I do it’s usually a quick visit because I’m relying on a lift! 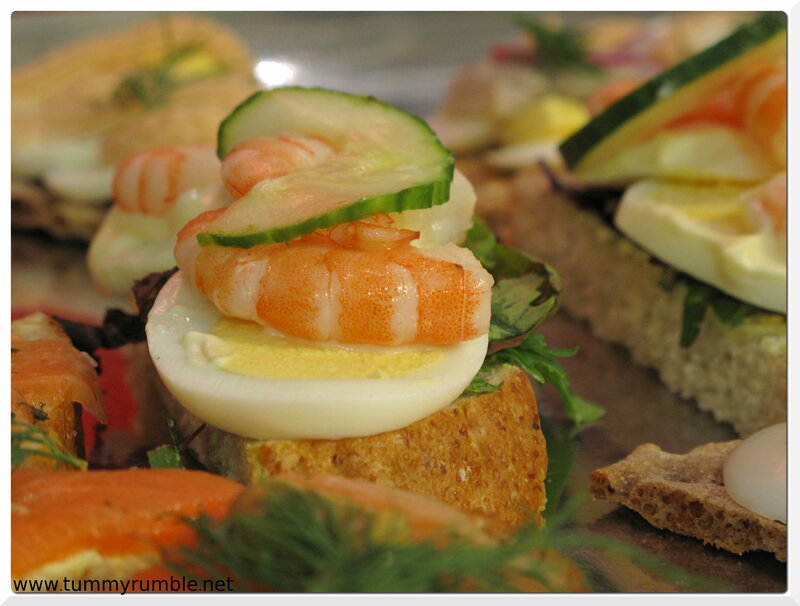 I was very surprised to receive an invitation to attend a foodblogger meet up at Ikea to try out their food and check out their products. Now this was no hardship and the perfect opportunity to figure out the public transport situation and see if it was do-able (just in case of future visits to score goodies & homewares). I caught the train and got there early so I could go stock up on my favourite dish brushes and grab some drawer organisers, and for the first time I actually looked at the range of food available. 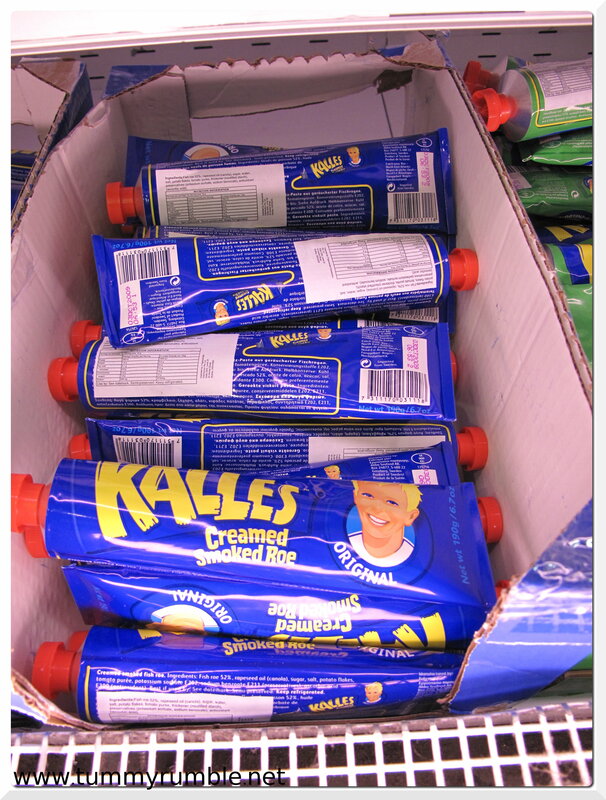 I know nothing about Swedish food. 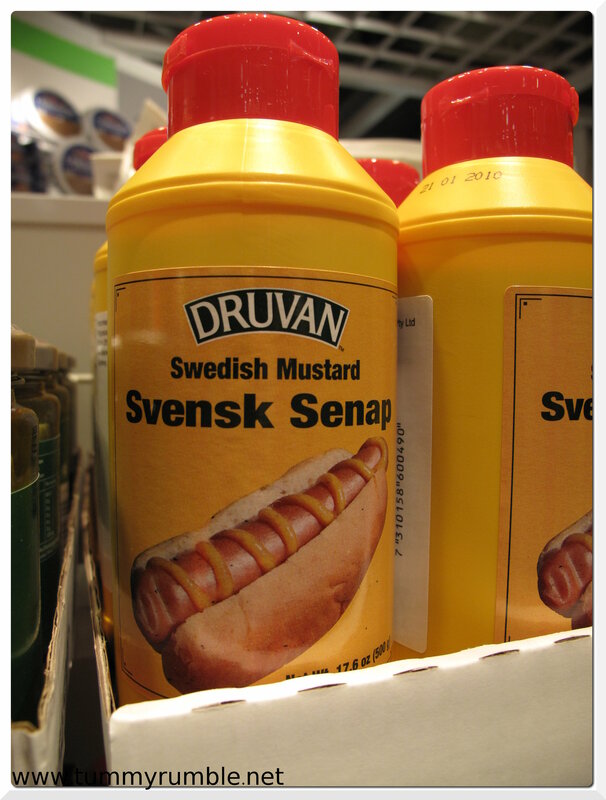 I’ve never eaten at Ikea, and it’s never occurred to me to associate food & Ikea. Well you know what? It does now! 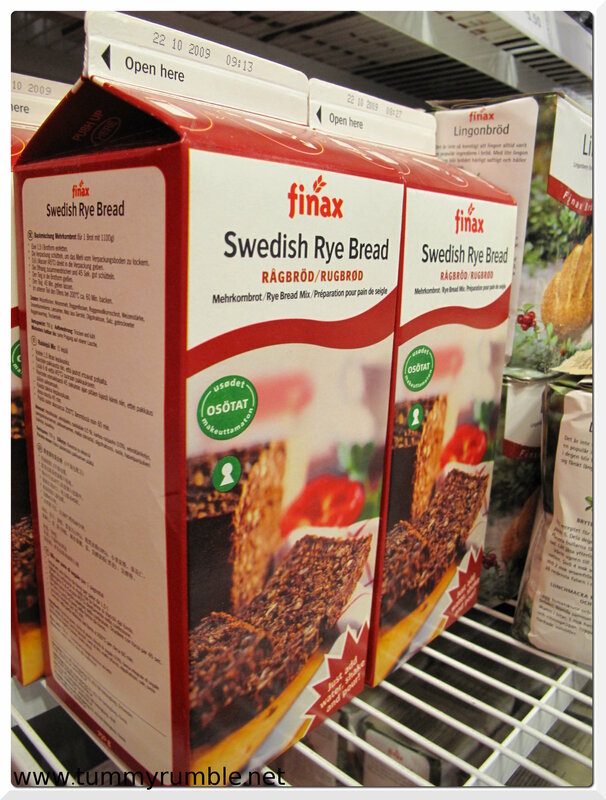 I loved this ryebread in a milk container! According to Helen you just add water for instant bread! And the cute mustard packaging. How romantic! Cloudberry Jam, *sigh* if only all jam in life was this sweet! And look, no one told me the meatballs were available for purchase. More importantly there was chocolate. More specifically Daim bars. 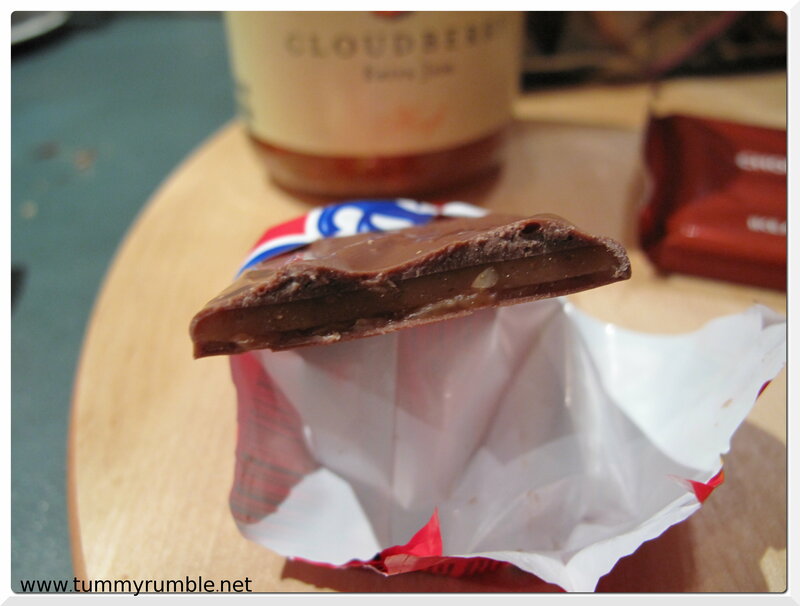 A delicacy I’ve never tried before, I admitted to the shocked ChocolateSuze! I also grabbed some double chocolate oat crisps, and original and wholemeal ginger thin biscuits and 3 blocks of Ikea choc in hazelnut, milk and dark. The oat crisps were devoured pronto. 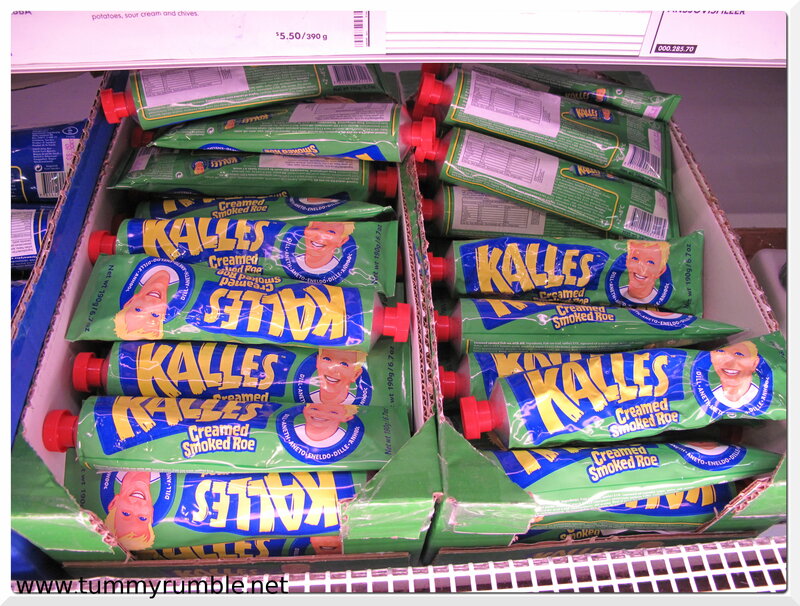 I would definitely buy these again, along with the ginger biscuits. I imagine these would make a great base for cheesecakes, with their thin, buttery texture lending itself well to crumbs. The chocolate, sadly was a massive FAIL. So much so that I chucked it in the bin! Can you believe I threw out three blocks of chocolate!??? They had obviously been exposed to some temperature extremes and had melted and hardened and bloomed. They just tasted old. The only failure of the haul. 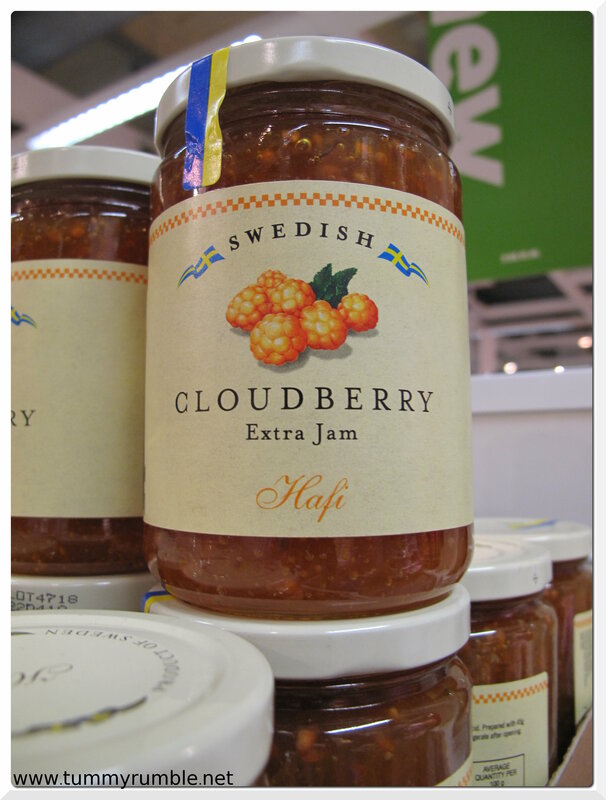 The Cloudberry jam is intrguiung: citrussy, but not strongly, and seedy like raspberry jam. Very mild, tasty. Enjoying it on toast. So finally I made it to the cafe for dinner and to meet up with the other foodbloggers: Helen from Grab Your Fork, ChocolateSuze, Minh & Helena from Eat, Show & Tell, Billy from A Table for Two, Simon from The Heart of Food and the lovely Karen from Citrus & Candy, and finally FFichiban from Here Comes The Food. 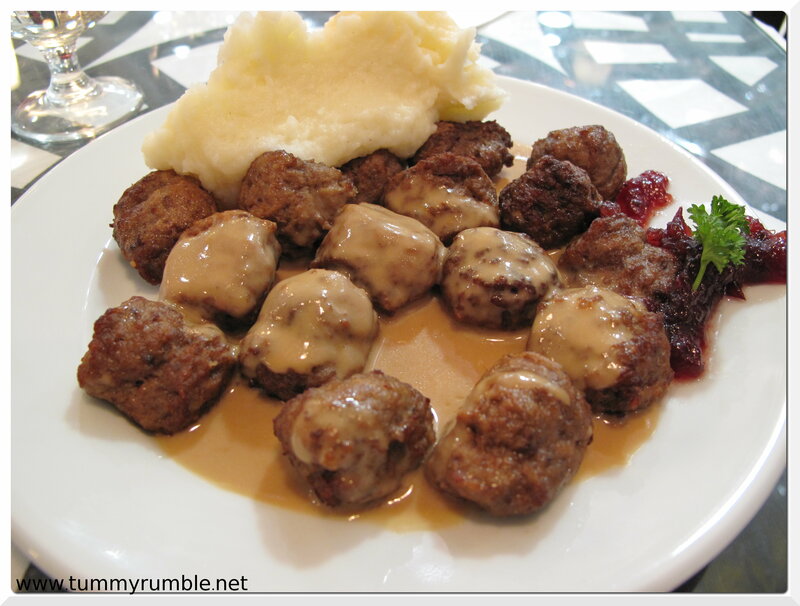 I’ve never eaten Ikea food so was fascinated by the famous meatballs that everyone talked about. Could they be that worthy? 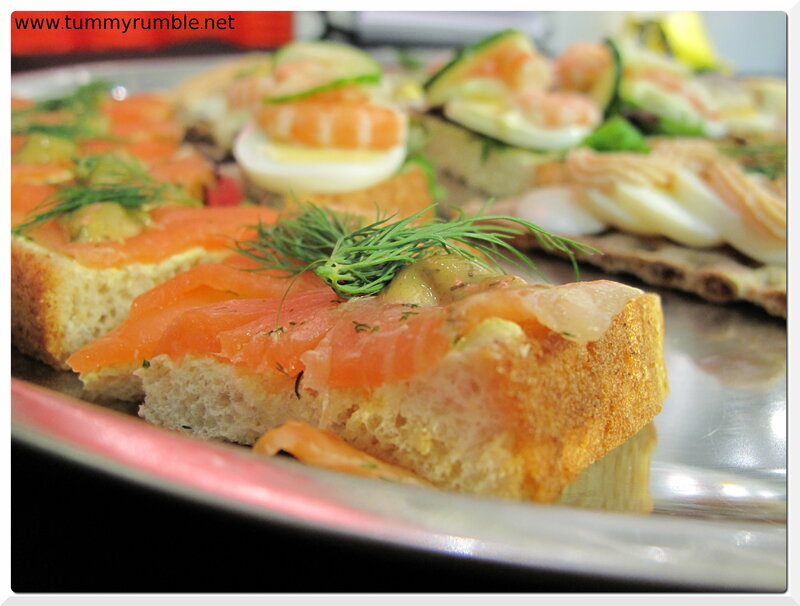 They ended up being pretty good, though I found the dish actually quite rich! Perhaps less so if I’d had the fries instead of mash? Finally, dessert. Oh noes! I missed out on Daim cake! Just when it occurred to me to go get some, the cafeteria had closed! Cake fit for a Princess! 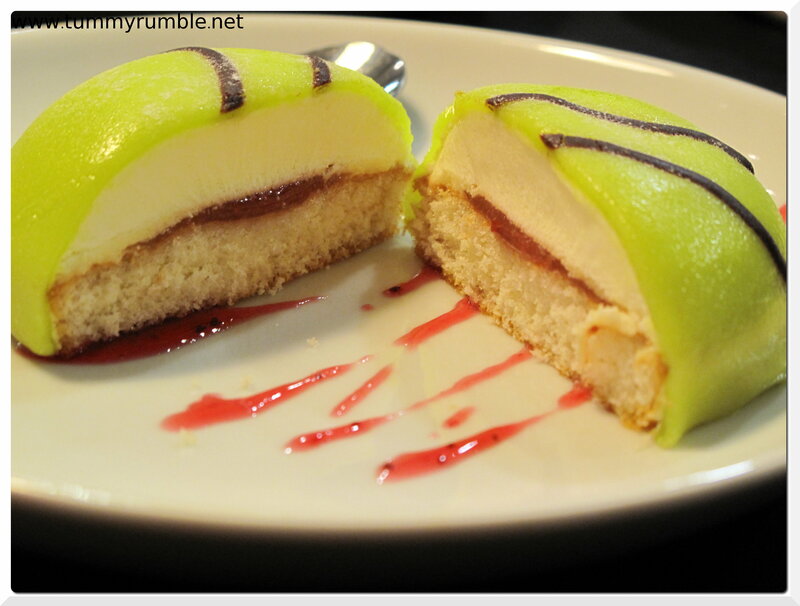 This light sponge with jam, cream and outer layer of green marzipan was gorgeous light and very sweet! 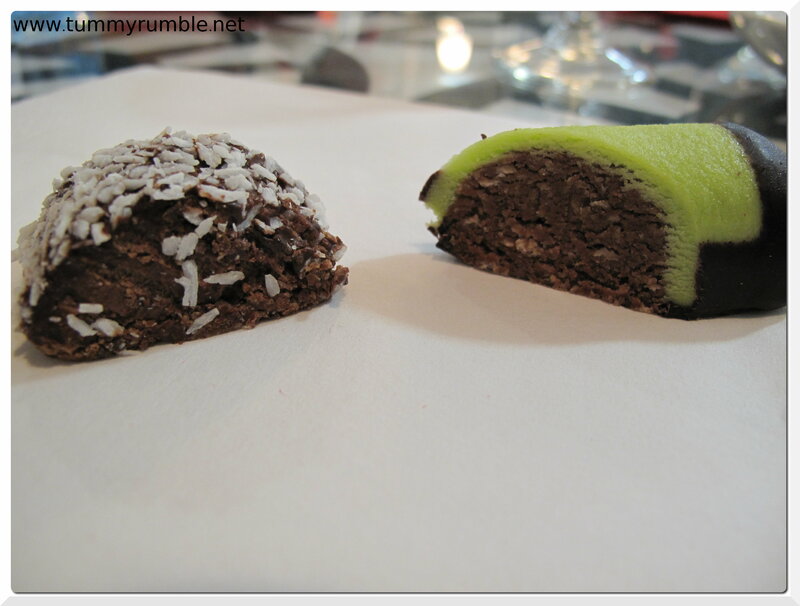 I much preferred the delicato balls (left in coconut) and the punch rolls (right in the green). The punch rolls in particular had a great alcoholic kick that I liked a lot, while the delicato was coarse textured and not as sweet which I also quite liked. What an education! 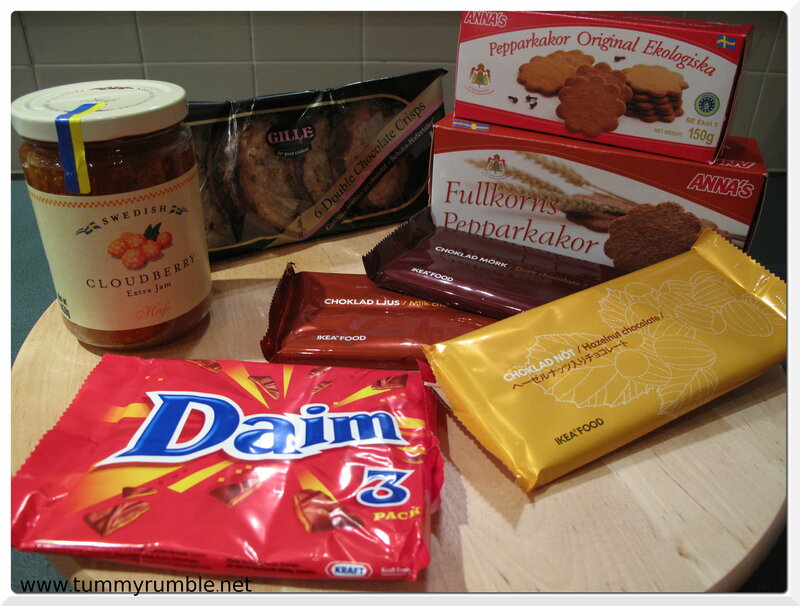 I learnt so much about swedish food and have developed a taste for those ginger thin bickies! Thanks Ikea for inviting us to dinner and the great hospitality you all showed us, it was lovely. Just when I thought my craving for meatballs were finally over! 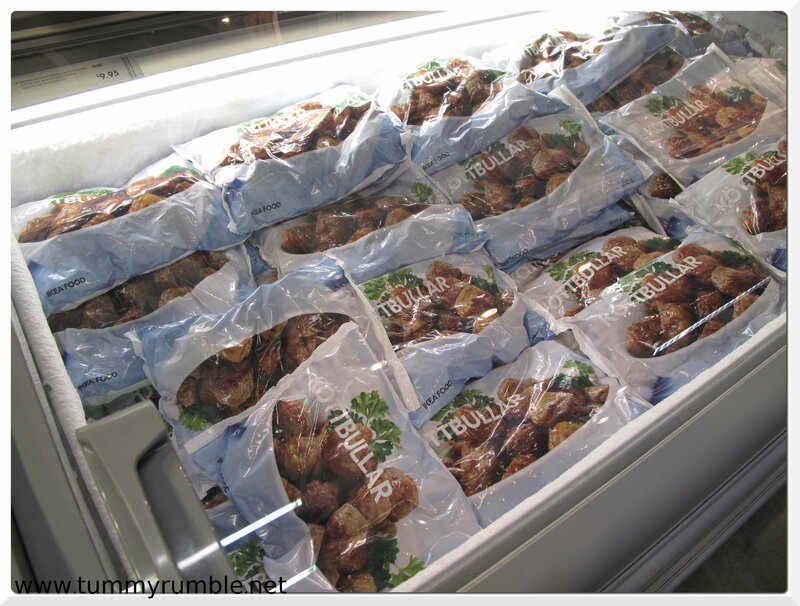 I think I might have to pick up another frozen bag or two soon! Yay I love the food at Ikea! Especially the princess cake- isn’t it gorgeous? That’s so sad you had to throw out all that chocolate, what a pity! What a shame about the chocolate. I would’ve returned it to the store, or you should let them know to save another customer suffering the same fate? 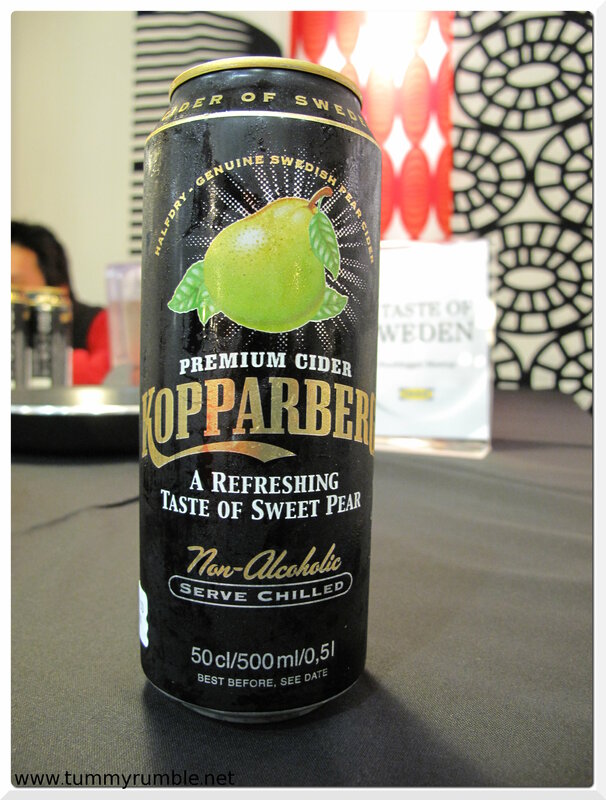 Love the Sweden shop – always a good incentive to quit browsing and head straight to the food! Hahah hear hear! Bringing back those meatball cravings within the community I see 😛 and the Daim cake.. I wanntt! aw shame about the chocolate! i think its because it is stored so close to the fridge oh the sadness of throwing out chocolate! Huge pity about the chocolate. I’d give it another try as I bought one that day as well and they were good! 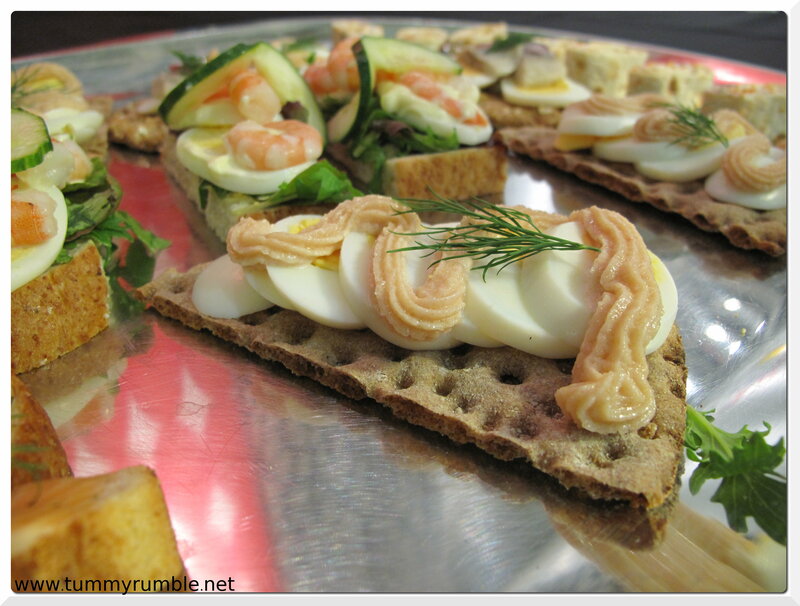 Ikea food-cripes! Unfortunate experience of shopping with morning sickness and smelling the restaurant on the way out means nup. Can’t. Won’t.